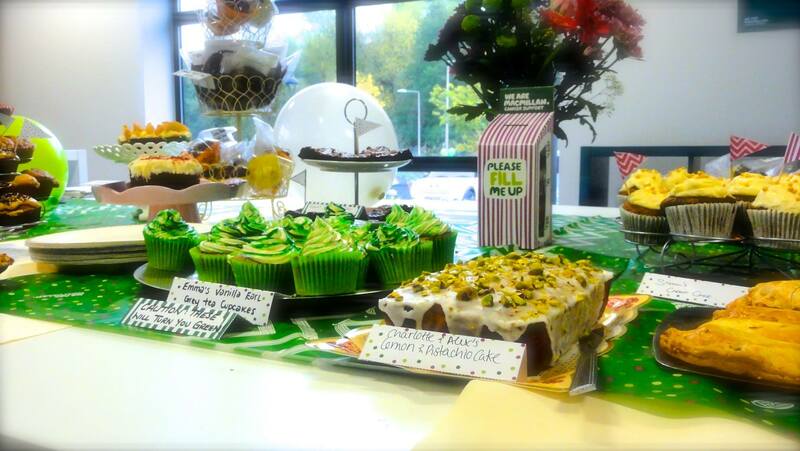 We only went and held a fabulous and very successful MacMillan Coffee morning! Our office was transformed into a quintessential English tea party, complete with bunting, teapots, cake stands and china cups and of course the finest selection of home made cakes Cheshire has ever seen! 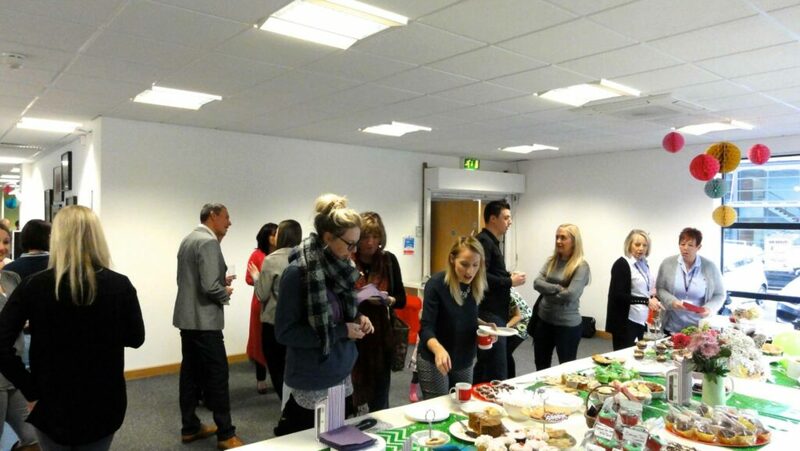 We invited local clients, friends and family to come and help us eat cake and they turned up ready and willing to feast! It was a brilliant atmosphere and lots of fun and laughter shared by all. Last year, Charlotte went through what no one at her young age ever should, she lost the love of her life and her fiancé Paul. It was a devastating and traumatic year for Charlotte and we are still astounded by the manor in which she handled everything that happened. We wanted to hold this event to remember Paul and to raise funds for an organisation that helped him in his short and unexpected fight with cancer. After the droves had departed, it was clear that the generosity of our bakers meant that we still had bucket loads of cake left! So we set up an ‘Apprentice’ style boys versus girls challenge to sell as much as possible. The boys in the office were less enthusiastic about the challenge and decided to put their hands in their pockets again raising £20. This left Matt, leading team boys to head out armed with a tray full of cake to Simon, Neil and Rob at RGS returning victorious with £22 or so he thought. £42 for team boys. Team girls headed off to Longridge Industrial Estate, Holly House Vets and the Annandale Practice and returned with a whopping £127! 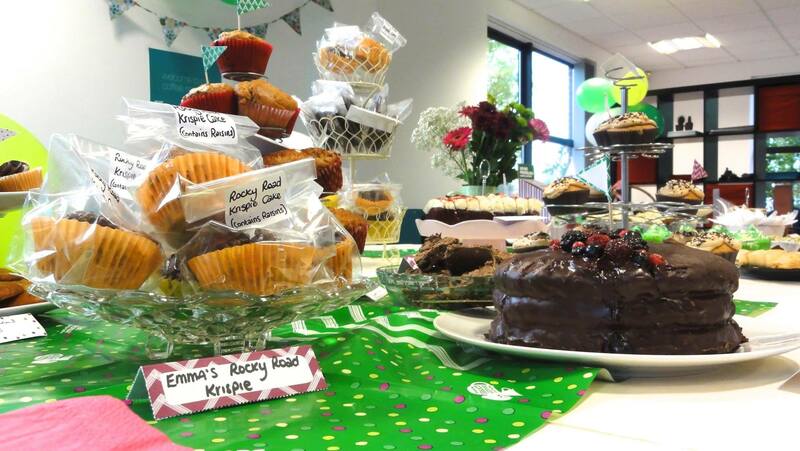 We are proud to have raised £719.34 for MacMillan! There really is nothing like the power of people. It is astounding what can be achieved when like-minded folk get together with a purpose to do something good for a great cause. 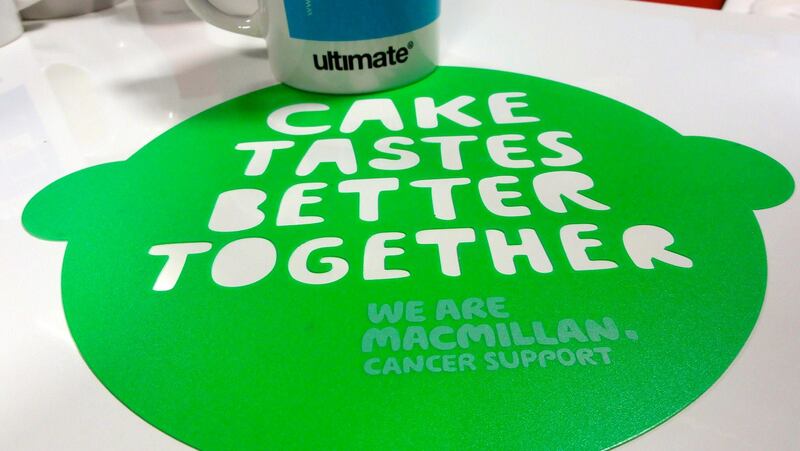 As ever, the gang at Ultimate all did their bit and then some (well we do like our baking here!) A special thank you to those who offered to bake for us without even being asked! A huge thank you to all the team from Cranfords for all their efforts, especially Emma who could take on Delia any day of the week! My wonderful mother-in-law Linda for her famous pasties! Greg Buchanan from Bitsol for his cookies! 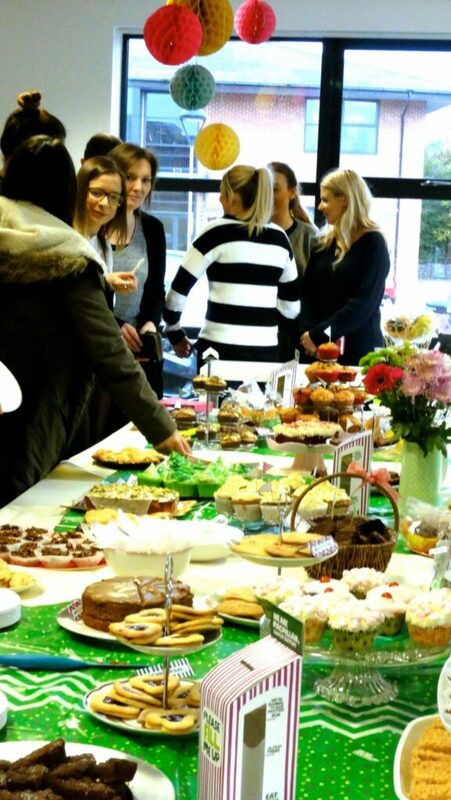 And finally, the event wouldn’t have been a success without all our clients, friends and family turning up with their sweet tooth and purses at the ready so a massive thank you to everyone for coming along, enjoying and supporting. If you weren’t able to make it on the day, but would like to support us, our Just Giving link will be open for one more week.